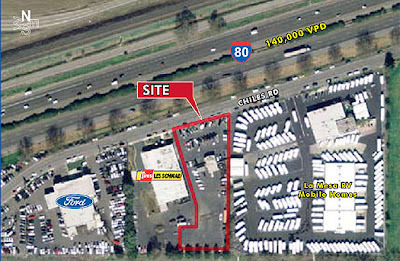 This offering consists of an office building, two service bays and a parking area for the La Mesa RV Center, a regional chain of RV dealerships. Founded in 1972, La Mesa RV Center, Inc. has grown from it's original La Mesa, CA site to nine locations in California, Nevada, Arizona, Florida and Georgia. La mesa RV is a full service dealership,offering sales, financing, service and repairs. This is a strong tenant in a booming market. Well worth a look. $81,000 of net operating income to the new buyer. Call to tour this great investment.